The male blue-fronted dancer, Argia apicalis, has an intense turquoise blue color on the head, eyes, thorax, and very tip of the abdomen. When viewed at close range, this color is just breathtaking. Dozens of b males and females dotted the bank of the Olentangy yesterday at Kenney Park. Hi, there, blue-eyes. I agree with Kerri - amazing! That just blows me away Tom!! I see you are getting much closer, Tom. I can't get this close with what I got now. Beautiful shots. Wow! 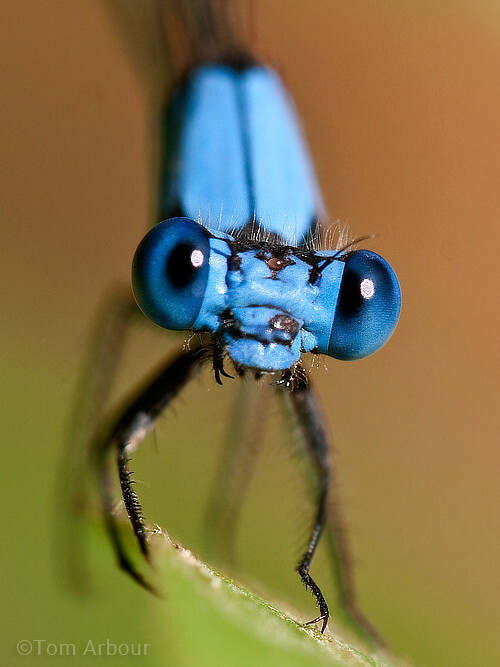 This is just a stunning insect macro. excellent shot! great macro shot! all of your photos are amazing!